I did a double take the other day, after noticing an upright piano on the sidewalk next to the Dakota jazz club. That afternoon, I found another decorated piano in City Center. Was it a case of orphaned pianos? No. Turns out, it’s part of Pianos on Parade, a project that places ‘artistically transformed’ pianos around the Twin Cities in outdoor locations for all to play and enjoy. Isn’t that nifty? Pianos on Parade is spearheaded by Keys 4/4 Kids, a local nonprofit that refurbishes and sells donated pianos. 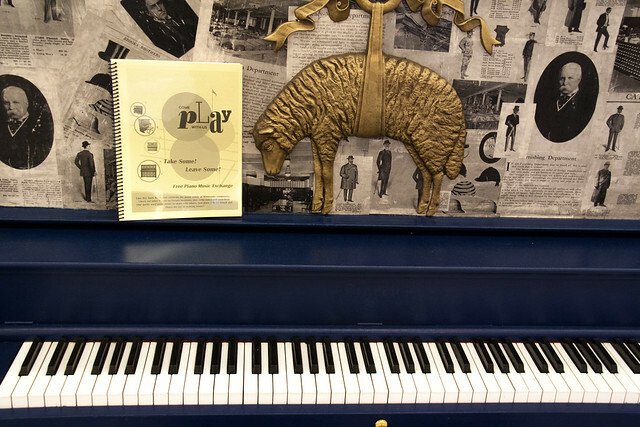 Through mid-September, the Twin Cities will host 20 unique and colorful pianos, inviting people to spontaneously engage with art, music, and one another. But wait, there’s more. 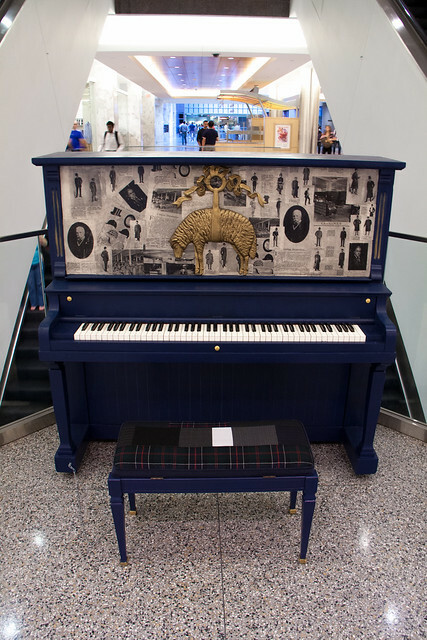 As an added bonus, open the piano bench to participate in the free music exchange. You might find a booklet of music by Minnesota composers (as I did), or someone’s gently used sheet music donation. This entry was posted in Minneapolis, Music, St. Paul by Joe Curry. Bookmark the permalink.